I'm so excited to share this with you! 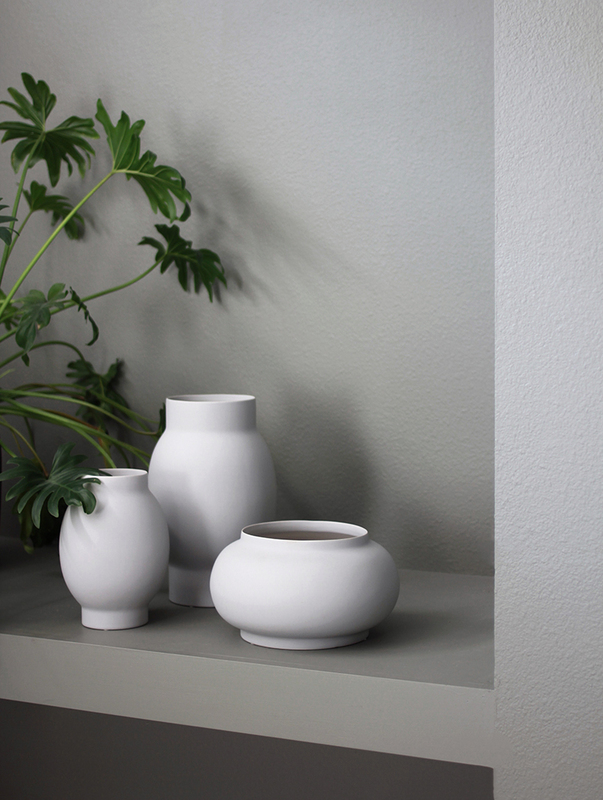 Months of work has manifested itself in a physical form and I'm glad to share these vases/pots I designed for Swedish ceramic company DBKD. Earlier this year Karin Dahlin Gunterberg approached me about the prospect of a collaboration. If you are already familiar with the brand you know they've previously had a successful collaboration with Swedish stylist Hanna Wessman. 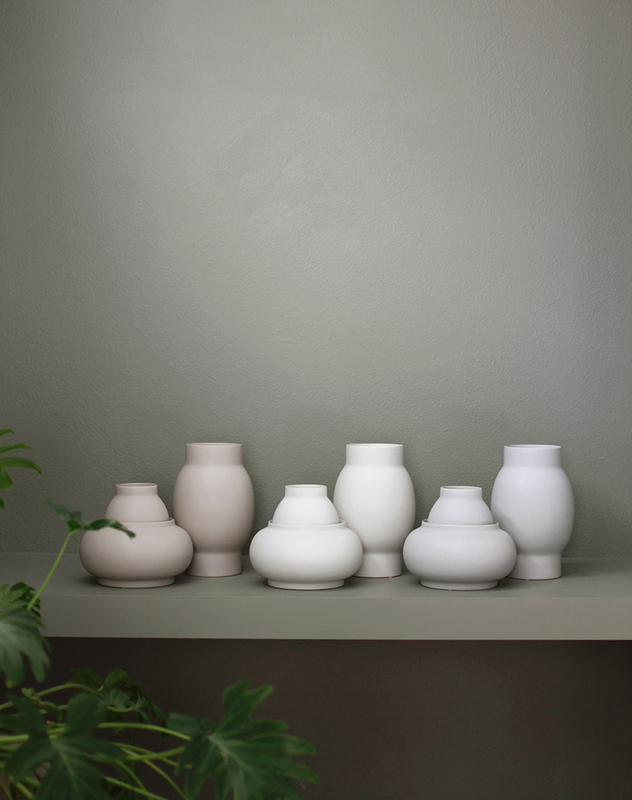 This family of vessels comes in 3 shades from a milky white to a mole color to a smoky grey. I wanted the colors to be tonal and complimentary to each other so you can display several colors together and there are soft differences between them. I had a few other shapes before these but for any of you who have design something you know there is a lot of give and take, a lot of trimming the edges or adjusting where need be. In the end I came up wit these soft shapes, symmetrical and curvy. 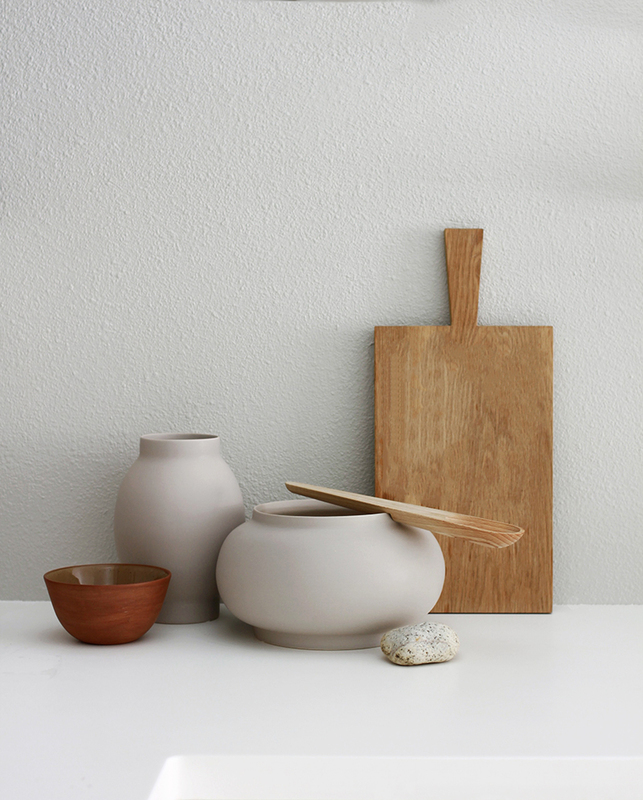 The largest pot can hold a plant while the others can hold flowers, branches or wooden utensils in a kitchen. They have a nice matte almost velvet finish to them. 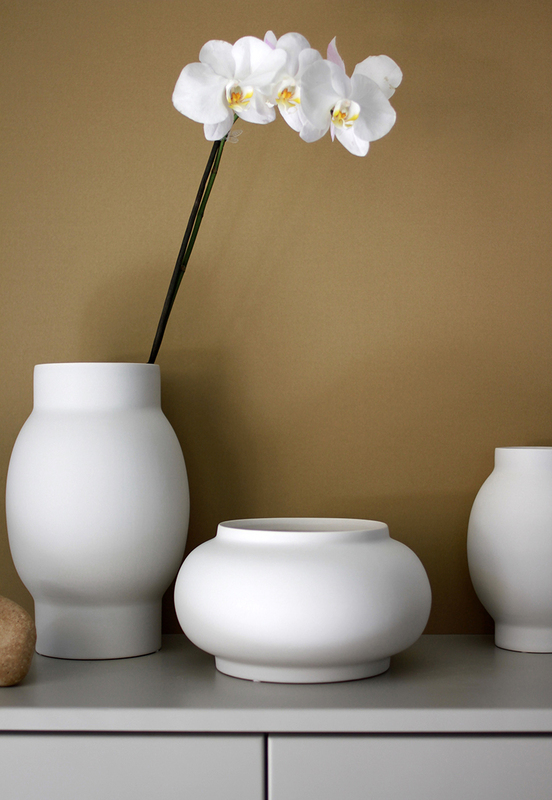 If you are in or near to Stockholm this week you are likely already aware that Formex begins Wednesday! Please find the DBKD booth and see the fruit of our work in person. I wish I could be there myself, one of these years I will be! Wow, this is really wonderful! Beautiful work!